A fun yet simple edge to this black derby shoe. This has laser cut diamond perforations to the middle and micro hole detail to the heel and the front. 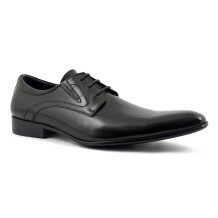 This semi-casual black derby mens shoe is a cool take on the formality of the lace up shoe. The derby shoe originated form the Earl Of Derby who had larger feet than most and commissioned his shoe designer to make an easy country shoe to get on and off. 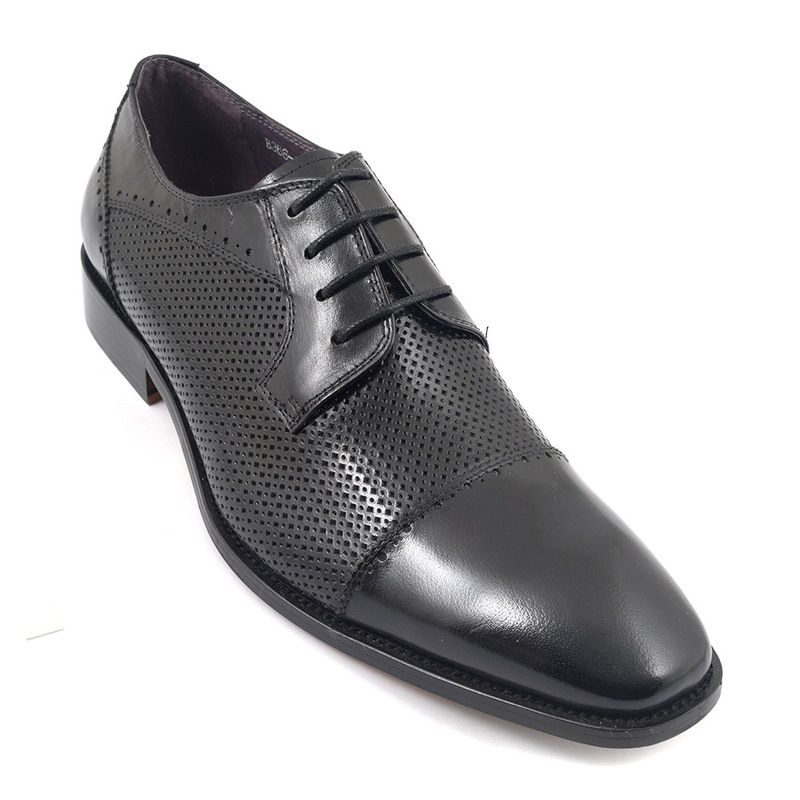 Of course, the oxford was the shoe worn at the time for formality but the closed style made it hard to get wider feet into. So, the open style (flaps to be technical) of the derby was a genius move which aided the Earl and all mankind really! Over the years, the shoe was only worn in the country but slowly became appropriate in business settings. It is lower in the totem pole of formality than the oxford. 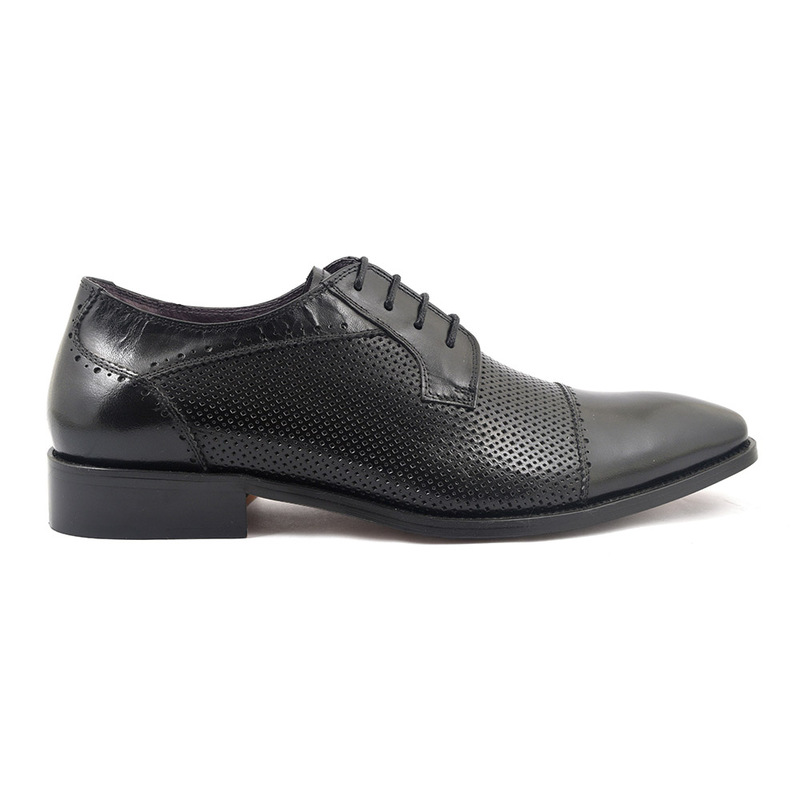 The perforation in this black derby, although in leather, really gives a sports feel and hence the casualness. Look closely and the laser cut pattern is rather delicate. Having said that, this mens’ back derby could easily be worn to the office and not look out of place. Equally, grab a pair of these semi-casual black derby shoes and pair with jeans and you will have effortless cool. Whether you want smartish or casual but not too rough, then these are for you. Enjoy! 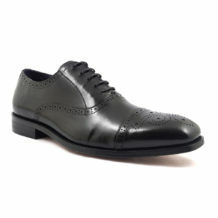 Be the first to review “Nils Black Derby” Click here to cancel reply.